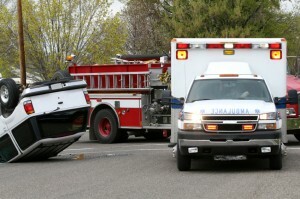 Car accidents can significantly change your life and the lives of your loved ones. The effects of injuries sustained in car accidents are often long lasting and touching on every aspect of a person’s life. The injuries resulting from car accidents are often a combination of physical, emotional and psychological components. The impact of these injuries can affect an injured person’s ability to earn income and care for themselves or their families. A person’s life can forever change in an instant following a car accident. Our clients often tell us that following a car accident, they feel helpless and are unable to trust the insurance companies and legal systems. Faced with serious and dramatic life consequences of suffering injuries, our clients entrust in us the welfare of themselves and their families. Our advice to our clients is for them to concentrate on healing and let us concentrate on the legal and insurance issues. Many of our lawyers have had friends and family members suffer injuries, so we know very well the real life significant impact car accidents can have on people, their lives and their families. It is not uncommon for our clients to encounter problems with insurance coverage and be faced with liability and damages issues shortly after an accident has occurred. Faced with an environment that often seems to favour insurers over accident victims, we believe that injury victims need the help of an experienced personal injury lawyer as soon as possible after an accident. For our clients, recovering from their injuries is a priority. For us, our priority is to level the playing field between our clients and large insurance companies by ensuring that all steps necessary are taken to protect our clients’ interests and rights, so that our clients receive the compensation and services they need as soon as possible. From the outset, we review our clients’ claim from every angle. Our committed experienced personal injury lawyers work in teams with every case having assigned to it at least two lawyers and one law clerk. Our lawyers and law clerks are experienced legal advocates who will fight for your rights through an ever changing complex legal and insurance benefits system. Irrespective of how your injuries were sustained, we will successfully handle your claim from beginning to a successful conclusion. Our lawyers offer free consultations, free case assessments and work on the basis of being paid only if you win your case. Most of our cases settle as a result of our representation. In Ontario, car accident victims are entitled to claims (usually against the driver) various types of damages in what is called a “tort” claim. They may also claim different accident benefits to cover losses such as medical expenses, rehabilitation and income loss. However, it takes significant legal experience to maneuver through Ontario’s no fault car accident system, laws and regulations and pursue a tort court action. While there are many lawyers who are prepared to take on car accident cases, many are not sufficiently experienced nor do they focus their entire law practice to injury law. At our law firm, we handle only accident and injury cases; that is all we do. 4878 or by emailing us at mquinn@pqtlaw.com.